When my hubby Robby and I were on our honeymoon, we saw the craziest thing. It was 2011, and we were in St. Lucia, which is basically heaven on earth. It’s just absolutely amazing, from the unbelievable scenery to the beautiful people. The morning after our arrival, we strolled down to the main area where they served a scrumptious breakfast buffet. The weather is always around 70 degrees there, so the inside dining area spills out onto the patio, which opens onto a pool deck. But what took our breath away was the view beyond. 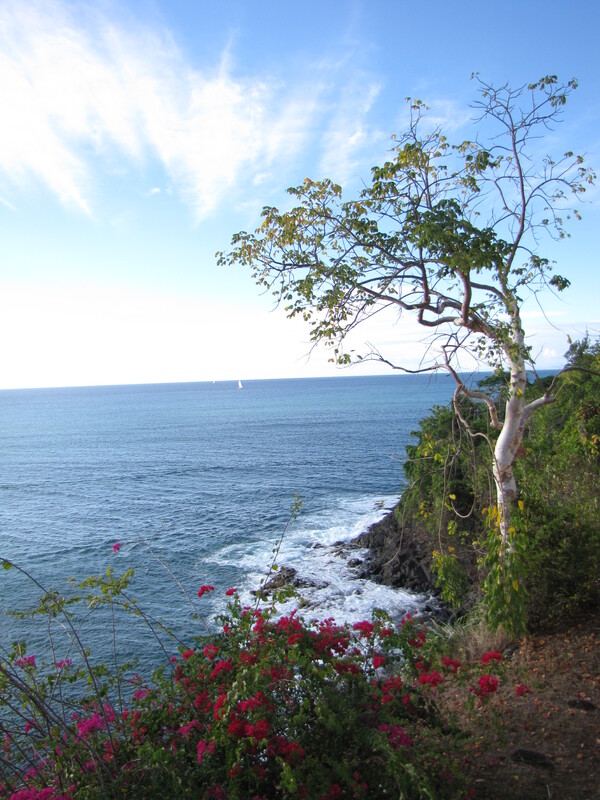 The island trees were in full bloom, silhouetting a beach in an array of blues and turquoise. We couldn’t wait to finish breakfast and put our toes in the sand! Robby and I are celebrating our fourth anniversary this week, and we have talked about those crazy poolside-dwellers off and on throughout the years. I knew God was trying to show me something about Himself in that situation, but I didn’t get the bigger picture of it until today. I was reminded that throughout the Bible, Jesus is symbolized as a body of moving water and even refers to Himself as the Living Water in the New Testament. (John 4:10-11; John 7:38) Moving water means there is a current, which is necessary to wash away chemicals, bacteria, and even pollution. Without a current, a body of water is stale and is more likely to hold impurities that can be life-threatening. In fact, to make pools safe for swimming, we have to add chlorine or other chemicals. I was thinking about this Living Water, this Jesus who calls us to a cleansing, refreshing faith that satisfies the soul, and I was grieved to think that, too often, we settle for less. We decide the trek down to the beach is a little too far, that it’s just not necessary to go all that way when something perfectly reasonable and satisfyingly similar is right here. So we settle for the boring fake stuff like everyone else and, if we feel really brave, we dip our toe in the shallow end. Love this, girl! Great job drawing comparisons between everyday occurrences and the BIGGER picture. Keep up the blogging and have fun! Wow that was a great article and I love that you used one of my favorite Bible verses! Keep up the good work.